If you were thrown into a motorhome for a 16-day road trip, what tools and gadgets would you bring? This Spring, I learned the answers to this question first-hand. How you ask? In April, me and two co-workers from weBoost embarked on an epic journey through the Rocky Mountains. Our goal: tell the stories of our cherished customers and highlight the beautiful and unique spots the Intermountain West has to offer. 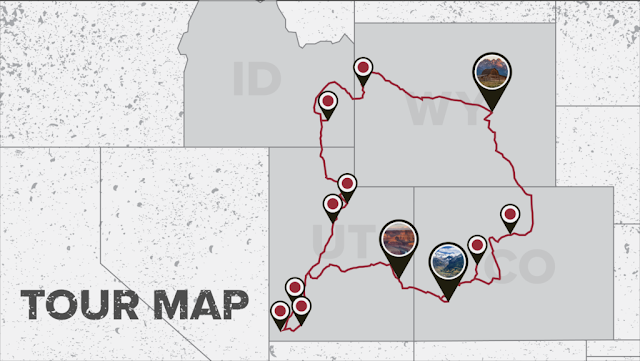 We visited 12 different cities, including Moab, Jackson Hole, and Telluride, Colorado. In between producing the weBoost Connecting America Tour YouTube series, we were also expected to get our day-to-day “office” work done. 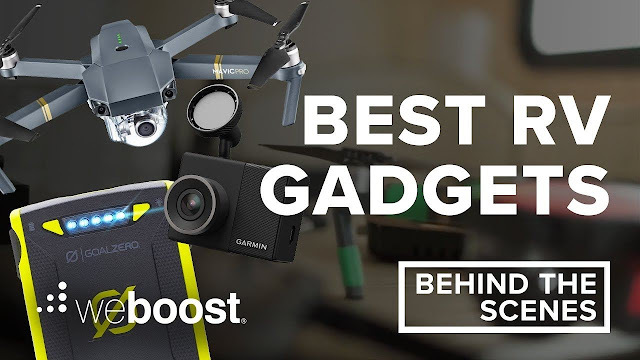 We quickly discovered which gear and technology were most helpful for us to work from the road and document our adventures. Whether you’re traveling in an RV or roughing it out of an overlanding vehicle, this is the tech gear we’d recommend bringing with you. If you’ve been camping but also need to access the internet, you understand the pain of trying to find a reliable WiFi signal. The Cradlepoint WiFi router from Verizon was an indispensable tool when it came time for us to crack open the laptops (and a cold one) at the end of the day to respond to emails and upload video footage. 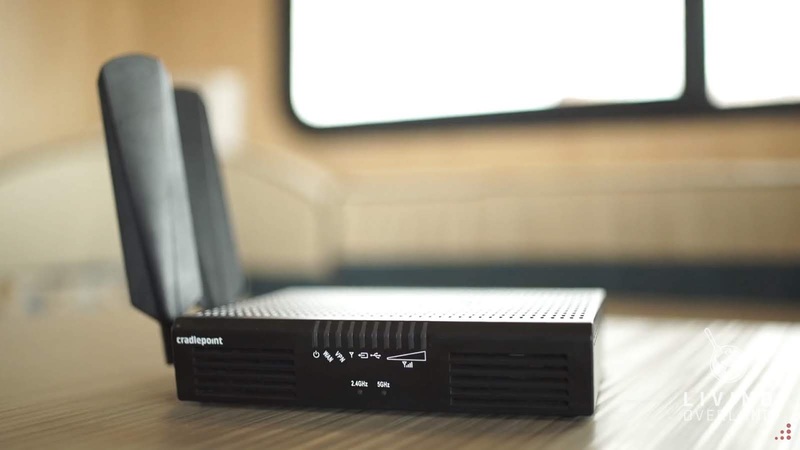 This router takes a cellular signal and turns it into a WiFi signal you can connect to on your laptop or devices. The Cradlepoint will set you back a few hundred dollars depending on the type you purchase, but it was an incredibly useful tool for our road trip. The only time this router wouldn’t work was when we were stuck in extremely weak signal environments, which leads us to our next must-have device... Check out cradlepoint.com/products for more information. 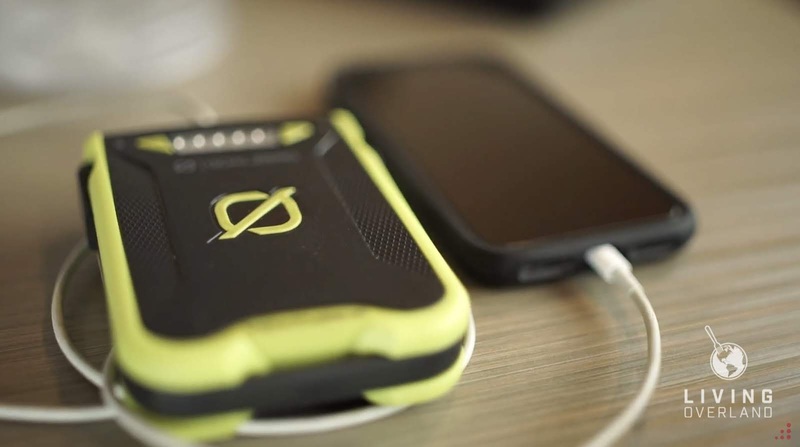 weBoost makes devices that take existing weak cell signal, amplify the signal, and broadcasts it wherever you need a boost - whether that’s in your truck, RV, home or office. What makes these products special is that they are carrier-agnostic, which means they will improve your signal no matter if you are on Verizon and your friend uses AT&T. We brought several weBoost products with us on the Connecting America Tour, and in those weak-signal areas where the Cradlepoint struggled, our booster filled the gap between us not being able to access the internet at all, to be able to run business as normal (only from the RV instead of a traditional office desk). Here’s a quick summary of the products we used and in what scenarios you can use them. Drive 4G-X - the 4G-X is a stable in the weBoost vehicle product line and is great if you’re wanting to improve signal for multiple devices simultaneously. Drive Sleek - at only $199.99, this cradle booster is perfect for one device and packs a punch. Connect RV 65 - this is our most powerful RV booster and is perfect for stationary RV camping. Drive 4G-X RV - weBoost’s most popular RV product, and can be used while you’re parked OR while the RV is in motion. 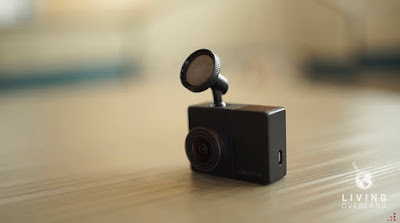 Out of all the dashcams we’ve tried, we really liked the Garmin 65 W Dash Cam. It’s a high definition dash camera, and the window mount was really easy to install. Garmin was also able to incorporate data like GPS coordinates and speed, so you have the option of viewing that as well on your footage. You can learn more about the Garmin 65 W Dash Cam here: https://goo.gl/FeXPGN. There’s nothing like being able to capture and share your adventures from a new perspective, and the DJI Mavic Pro helped us do that. The Mavic Pro is easily the highest quality and most compact drone on the market. The drone is small, lightweight, and shoots spectacular 4K videos. 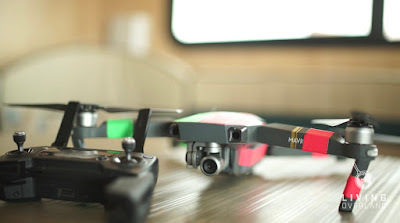 It is super easy to fly, but just in case you crash it, DJI offers great insurance coverage for unplanned mishaps. Being able to get epic footage of your adventures is definitely worth the investment of $999. You can see more details on the Mavic Pro here: https://goo.gl/RVDAg9. 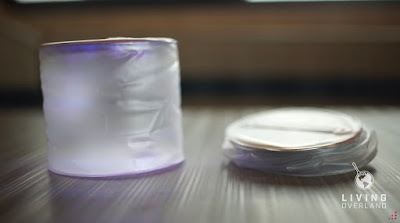 These solar-powered, inflatable lanterns were a favorite gadget of mine during our travels. Between being super compact when they’re deflated and using the power of the sun to light your space at night, the weBoost team loved having these in our adventuremobile. There are a few variations, including ones that change colors which gave the inside of our RV a nice, relaxing ambiance. MPOWERED makes these, and they have different options available here: https://goo.gl/4TxYU5. Upon reflecting back on the 2 ½ week road trip, I’m very pleased at how smoothly everything went. These tools definitely helped us have an enjoyable and productive road trip. By planning ahead and preparing yourself with the gear you need, your chances for an incident-free outdoor adventure increase dramatically. You can watch every episode of the weBoost Connecting America Tour on YouTube here. Click here to learn more about weBoost. Emily Fisher is a writer, digital marketer, and explorer who is obsessed with the outdoors. She manages the marketing and public relations for weBoost, a company that makes cell phone signal boosters that help people stay connected wherever they live, adventure or work. When she isn’t working, you can find Emily enjoying the Utah wilderness, spending time with her boyfriend, and snuggling her two cats.